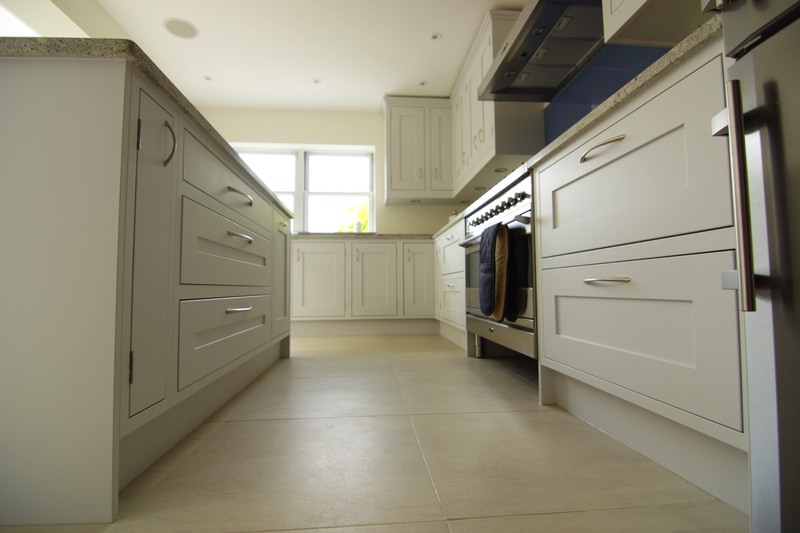 This property in St Margarets, Richmond had a side return extension built in which Teddington kitchens installed a square inframe kitchen which was hand painted with Farrow & Ball "All White". 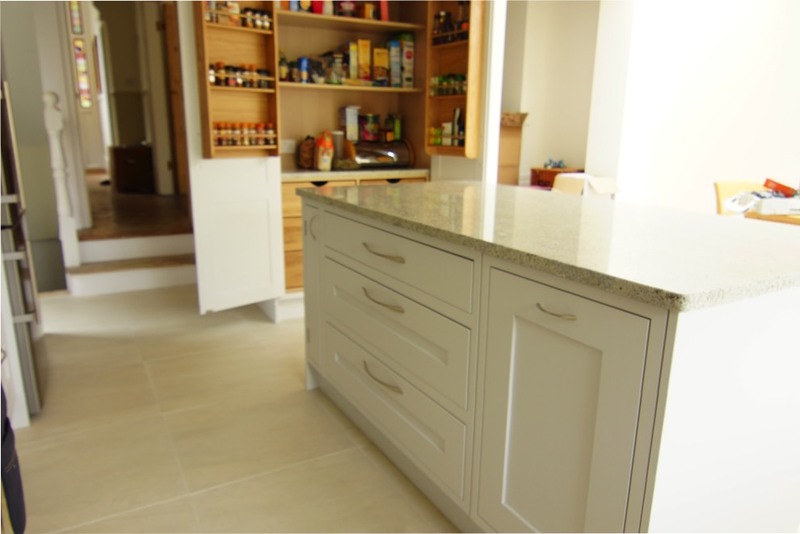 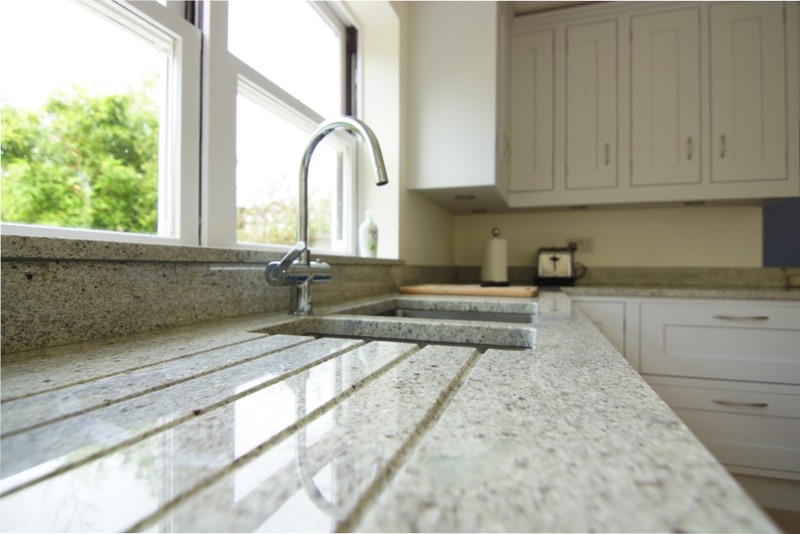 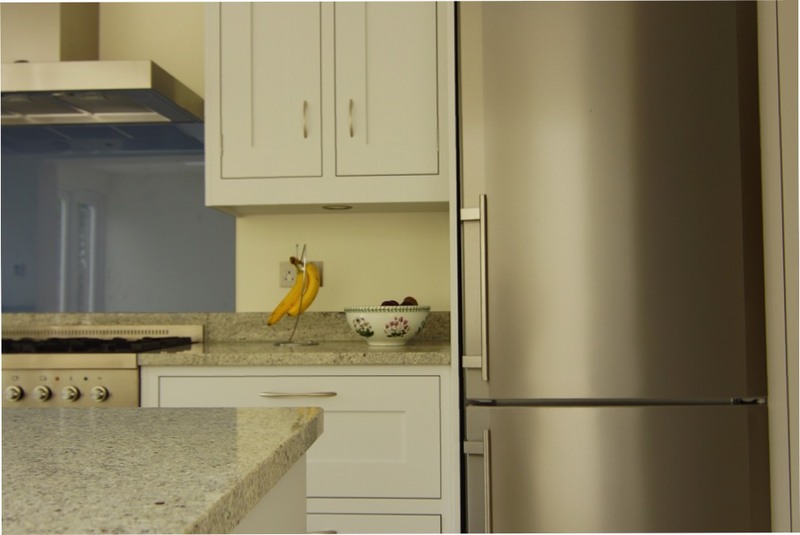 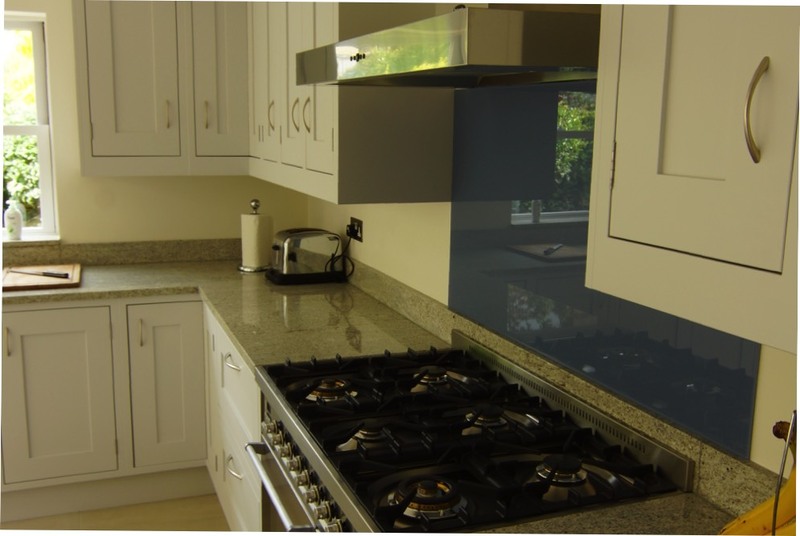 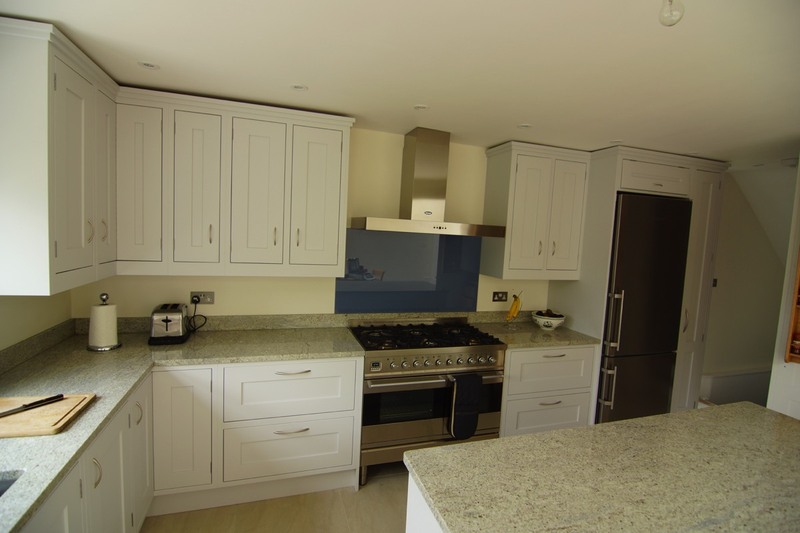 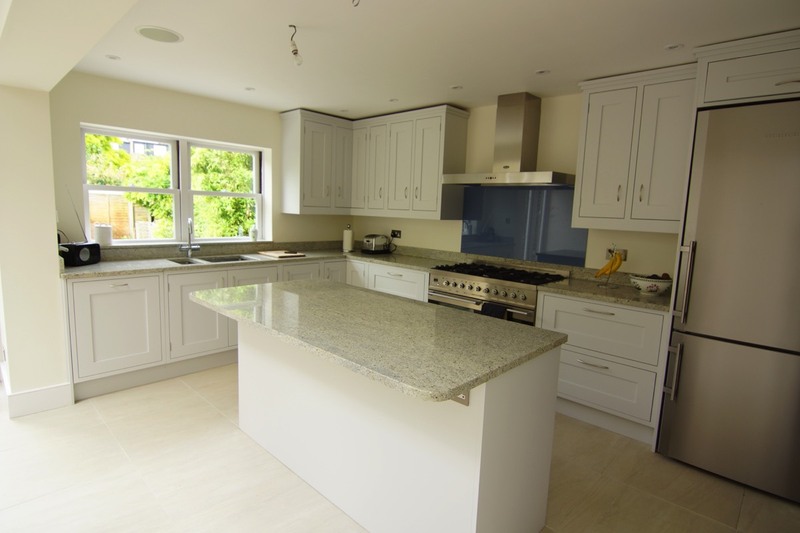 The kitchen has Kasmir white worktops along with the white cabinetry it looks immaculate and crisp. 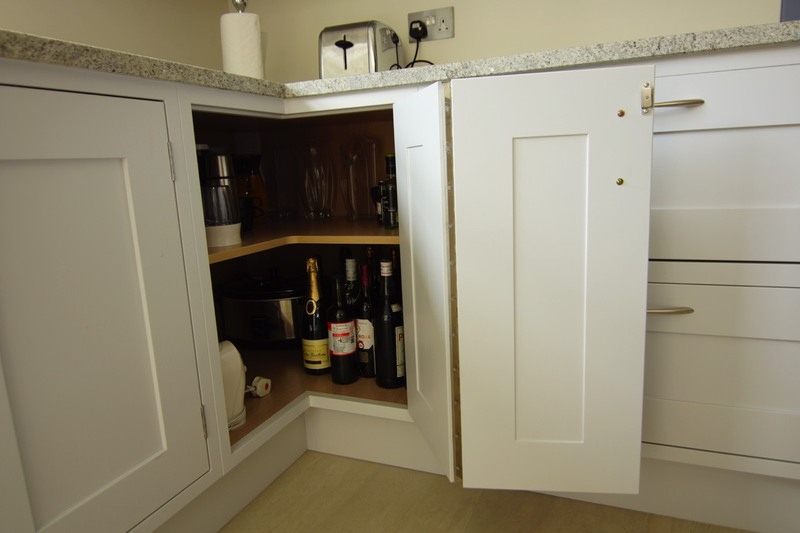 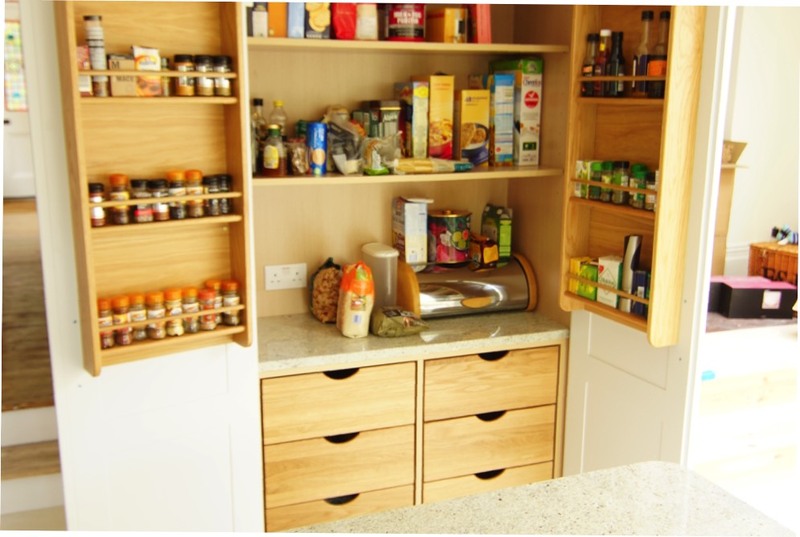 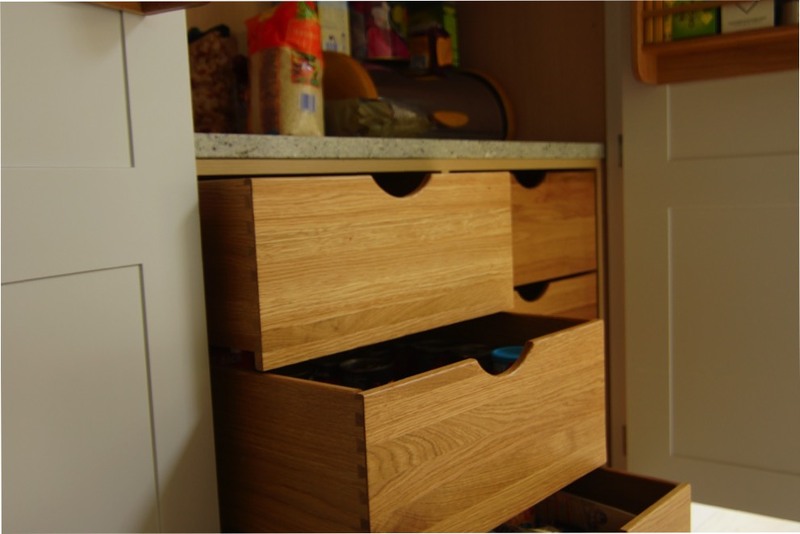 There is a very smart larder with internal oak drawers and a worktop with oak bottle/spice racks to the doors.